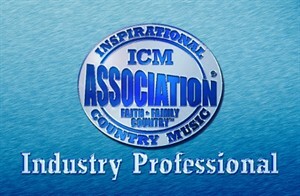 The Inspirational Country Music Association was founded in 1992 with the objective to broaden and echo the message of Faith, Family and Country in the mainstream marketplace, and to encourage, enable and recognize those individuals who share this message through their music and ministries. Bringing the initiative to life, the annual Inspirational Country Music Awards serves as a two-fold testament to the mutual work of the nonprofit organization and its members, and to honor performing and recording artists, members of the music and entertainment industries, and various mediums that share the same passion through Inspirational, Christian Country music. Our mission is to give a voice to the music in our hearts and to recognize the talented performers and members of the music community who celebrate the spirit, and message of faith with their music. Personalized membership card, your ticket to many benefits and discounts.